Securicor Distribution Hub Project | Thornley & Lumb . 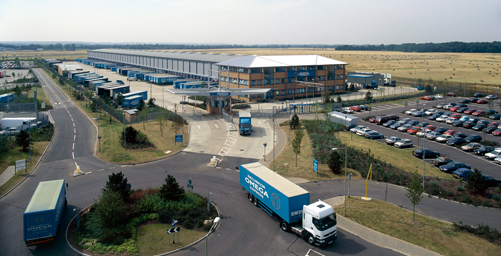 The project involved the construction of a new regional distribution Hub, servicing the south of England. The facility comprises of a multi layer distribution conveyor sorting system, with 160 loading bays all connected to the conveyor system. The new facility is a primary hub and therefore formed an essential position within Securicor’s network, As such it was imperative that it could continue to work without disruption, to this end it was fitted with 3 No 1000kva parallel redundant prime generators that were also capable of exporting to the grid as a revenue stream. The site also houses offices and re-fuelling stations, together with a large marshalling yard for feeding the large number of loading bays. M & E Value : £2,000,000.